There was no grandiose goodbye for Ger O’Brien. The former St. Patrick’s Athletic captain did not command a standout send-off as he left his playing career behind. Instead, it was a gradual transition, slowly evolving from player to coach. At the end of 2016, it was announced he would take on a role as Director of Football for the club’s underage teams while still continuing as a first-team member. Gently, it became less about running and more about advising until he eventually joined the first-team coaching staff. As it turns out, this was not a regression from the game but a progression. O’Brien’s brief was about to get a whole lot bigger. In the past six months, he has dealt directly with schools to monitor academy player’s prospects, he has consulted sponsors to assist with club financing and he has engaged with Dublin City Council on housing and social development in Inchicore. 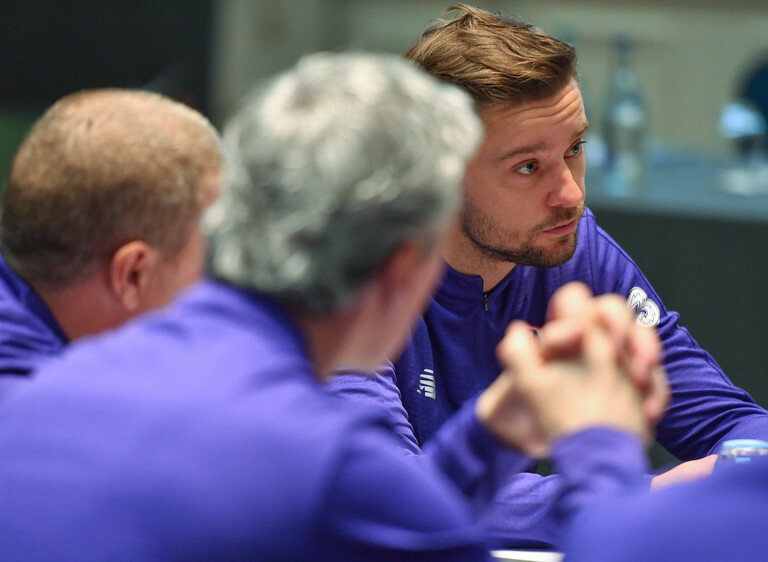 He has met with players and their agents to arrange significant off-season signings and he has travelled out to Johnstown House to undertake the FAI UEFA Pro Licence course alongside figures like Keith Andrews, Andy Reid, Damien Duff, Robbie Keane and Jim McGuinness. “It’s been hectic,” he says with a laugh. “If I was in any other country and was a full-time football coach your main job is football! That’s it! 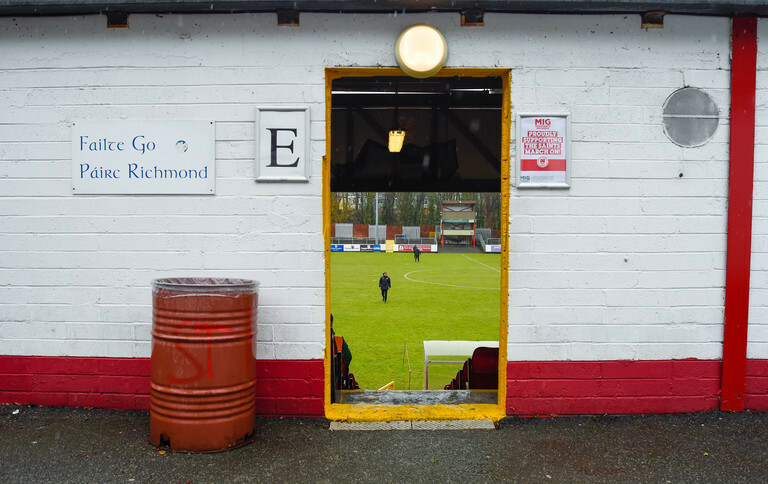 The League of Ireland is… unique. When you find yourself full-time, you have to put your hand to other things. “I don’t mind, I’m open to that. I’ve actually built up a great relationship with sponsors over the last few seasons, you know them on a first-base basis at this stage. The FAI's 2019/20 UEFA Pro Licence class is a high-profile one. O’Brien’s footballing education has seen him stand in as caretaker manager as well as his extensive work with the academy, but he is the first to stress the journey is merely beginning. His new colleagues will hopefully help contribute to that. Although it is individualised, you have to pull each other along with you because it’s that difficult and it is a long stint, an 18-month course. The work you have to hand in is very detailed. This group is obviously high profile. The names will get attention but for me... I’m in a micro group with Robbie Keane, Jim McGuinness, Damien Duff and Jimmy Brennan. That’s great, just to be able to learn from and work closely with them. There is a lot of people from different backgrounds so you can learn from everyone. That’s the crux of it, how we can learn from each other. They have experiences, you ask questions. Everything that goes on the course stays there, which is great. Stories are told but nothing gets out of the room. Here is the thing about Ger O’Brien. The Dubliner's sole interest is not so much football as it is people. He has dropped underage players because of poor behaviour in school and was an advocate for the recently announced €18 for a child season ticket scheme. A club is about more than on-field success. 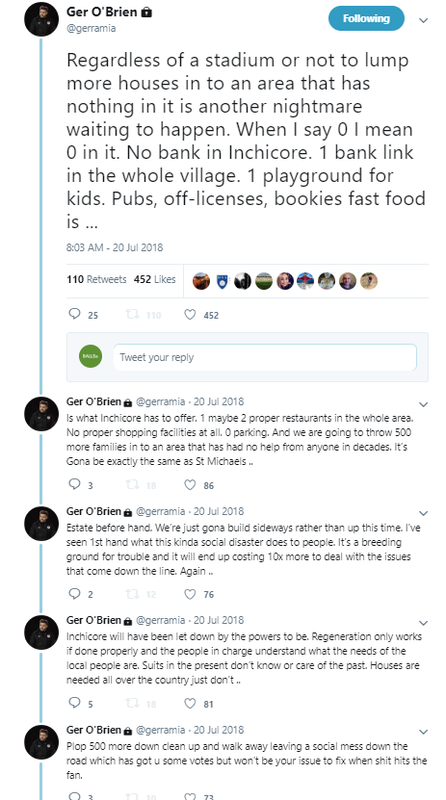 This is why when St Patrick’s Athletics’ plan to build a new 12,000-seater state of the art stadium as part of a major development of St Michael’s Estate in Inchicore was rejected, O’Brien took to Twitter to voice his concern. The club’s plan had been to construct a development that included a library, a shopping centre, a cinema, and a community centre as well as a mix of social, affordable and private homes. However, they were rejected with Minister for Housing Eoghan Murphy TD in favour of a large-scale development of low cost rental housing. This, O’Brien explained, was destined to be a disaster. "I got plenty of reaction anyway," O'Brien admits. "From Dublin City Council all the way down. Politicians and everything. it is still ongoing. I think the club have put their best foot forward, but I know the proposal is not in the club’s favour at the moment. I think it might come down to the local people of Inchicore and local politicians to do their job and represent those people. "It is up to them. Hopefully, they can take another look again. The box for social housing is badly needed but there is more to it." The Government did commit to a scoping report after Minister of State Catherine Byrne raised serious objections to the plan for her own constituency. On the field, O'Brien is concerned with securing European football and a better league position for the club, but off it, he wants improvement for its community. "I obviously upset a lot of people, especially politicians in favour of the move. Sure, you take that. It’s better than sitting on the fence," he clarifies. "Listen, at the end of the day I said it because it’s important. It’s not just an area, it is about its people."